How amazing are these flowers? I had my gala at The Sanctuary, and I was in charge of all the flowers. I just love fall blooms and the oranges, yellows, and reds. You know I also had to sneak my favorite color, purple, into a few of the centerpieces. Kiawah sunsets are like no other. Of course I took a bunch of the flowers to reuse for our Thanksgiving table. I was really sad to have to cover the beautiful table we're refinishing since it wasn't 100% polyurethane'd yet. (On the bright side how cute is the tablecloth and the napkins we chose?) I will be sharing the whole dining room set refinishing project here soon. 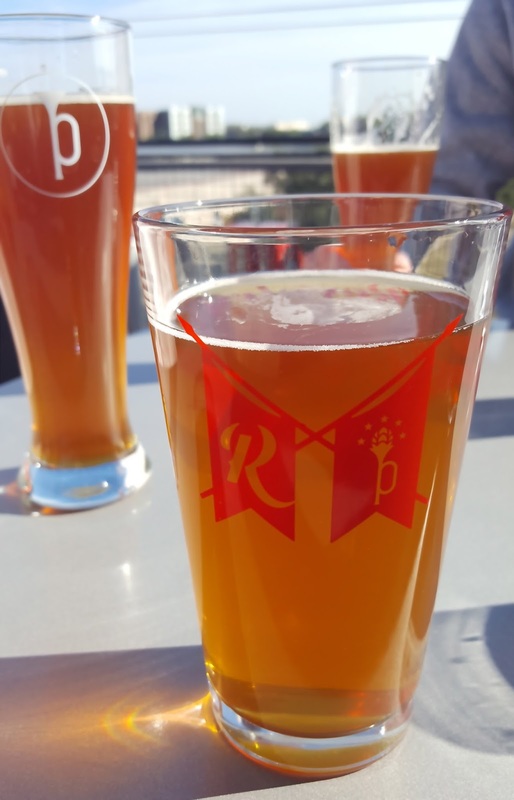 You can also shop our whole dinnerware collection here. 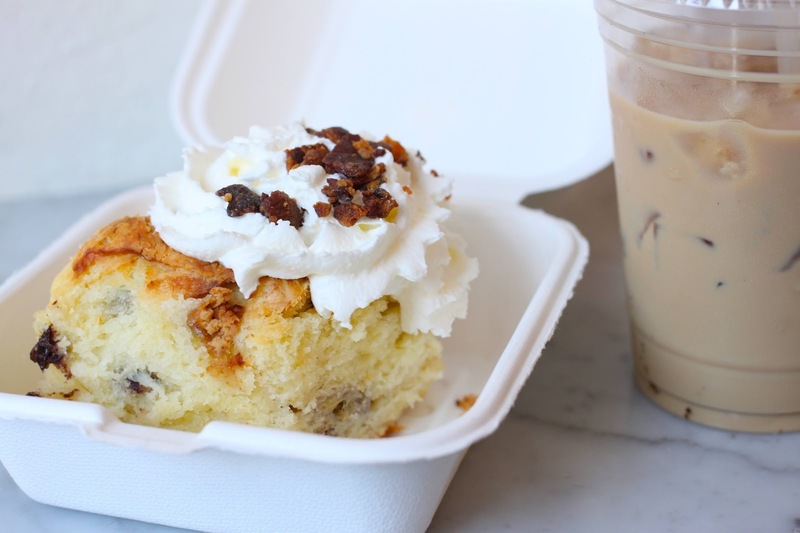 Saturday morning at the Farmer's Market with stops at Kudu for a latte and Callie's for my new favorite biscuit (peanut butter, banana, and chocolate chip biscuit topped with whipped cream and bacon, called The Elvis)! 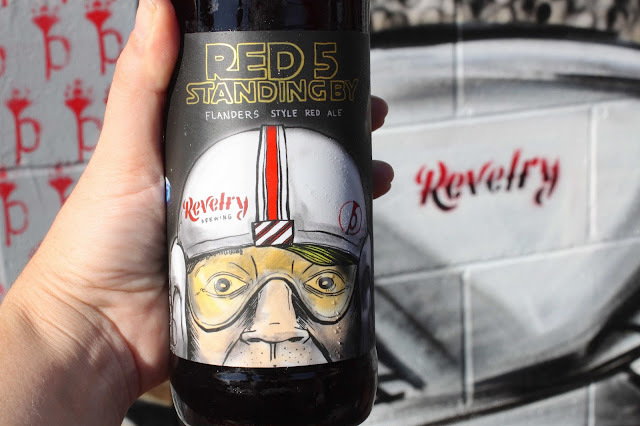 New favorite beers at Revelry: this Star Wars-inspired Flanders red ale and their current secret beer, made with tea from the Charleston Tea Plantation - so many of my favorite things in one glass! 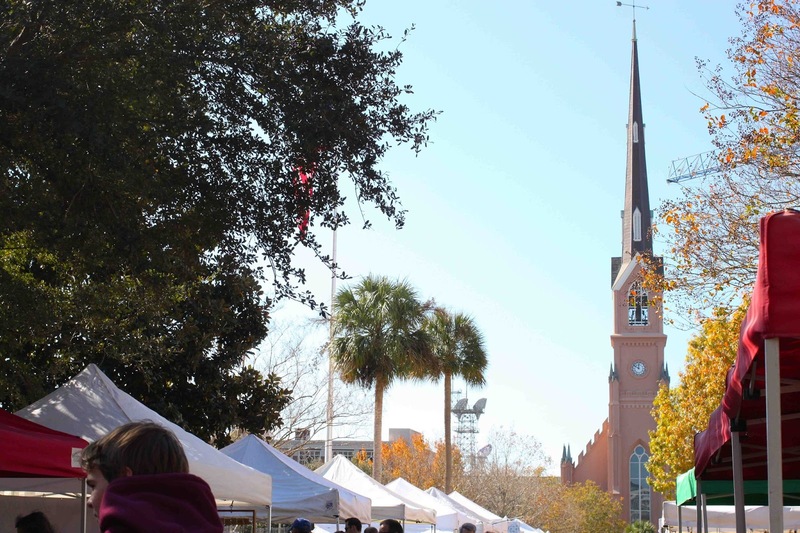 And, of course, Christmas decorations are starting to appear all over the city!! My favorites are always on King Street and the doors of every church downtown. 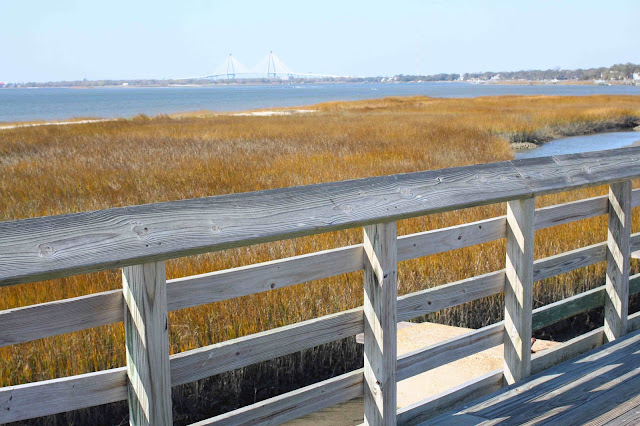 I can't wait to see what all the houses around the Pitt Street Bridge (below) in the Old Village look like! 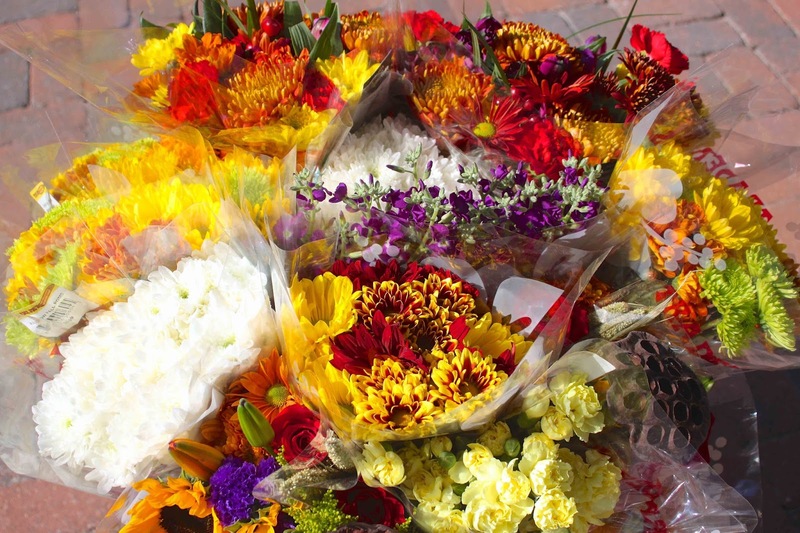 The flowers are so pretty and love that you saved some to add to your Thanksgiving table! All of the photos are gorgeous. You did a great job on the flowers & that's so awesome that you got to reuse them for your Thanksgiving. Food is definitely important enough to be said twice. Such beautiful flowers girl, glad you could reuse them for Thanksgiving! 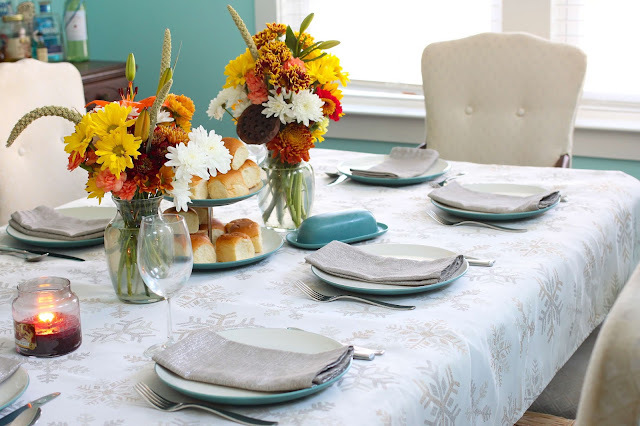 Love how pretty your table is even though you had to cover it, the tablecloth and napkins really are pretty! Sounds like a wonderful time with family! I love having guests. We had a chill Thanksgiving, but have family coming for Christmas, and I cannot wait! Your pictures are always so beautiful. Love Christmas decorations are going up. Glad to see your air isn't smoky anymore! Your centerpieces are so very pretty!!! That biscuit sounds ridiculously good - wow! I want that Elvis biscuit SOOOO much! It looks like y'all had a fantastic Thanksgiving, and I love all of the flowers and your centerpieces! I'm loving seeing all the decorations pop up all over my city too! It just makes me feel so much more Christmasy! Purple always makes things shine! Your table looks beautiful!! 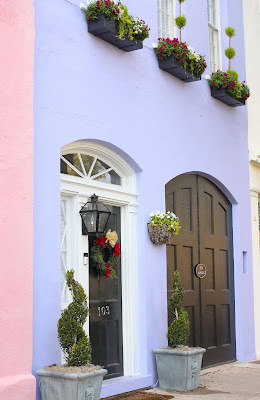 I am so excited to see some Christmas decorations around Charleston when we are there next month. Your camera (and you! haha) take such amazing photos! The one of your dining room looks straight out of a magazine or something-- loving the floral arrangements. I'm not a big banana fan usually, but the biscuit you get sounds amazing. 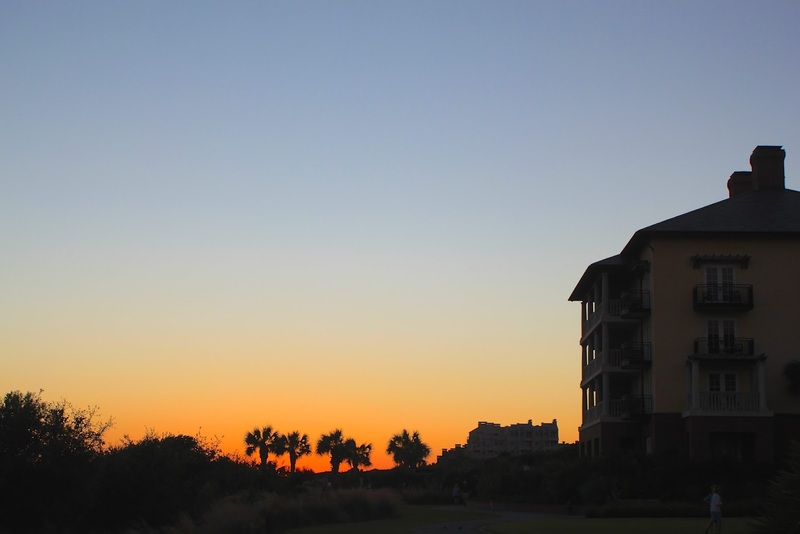 Wow, Kiawah sunsets really are the best! That photo is gooooorgeous. 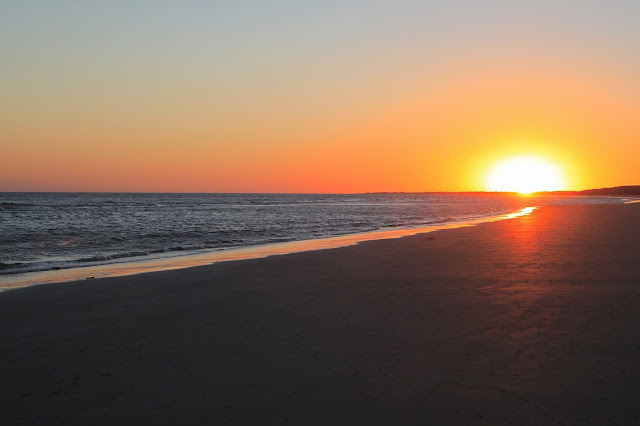 the third time Kev and I met for a weekend it was in Kiawah- always a special place in my heart!